The history and events leading up to the signing of 1783 Peace Treaty of Paris, its terms and their significance to the American colonists is fully detailed in this article. The Definition and Summary of the Fact: This Paris Peace Treaty concluded the American War for Independence. The 1783 Peace Treaty of Paris was one of several treaties concluding the American Revolutionary War and signed by representatives of Great Britain on one side and the United States, France, and Spain on the other. The 1783 Peace Treaty of Paris was signed on September 3, 1783 during the reign of King George III. The important dates, people and events surrounding the Peace Treaty of Paris signed in 1783 are fully detailed in the following Facts File. The 1783 Treaty of Paris Facts file provides an easy and fast way to gain facts, information and an overview of this important event in the history of America. The above map shows the lands in North America that were claimed by the United States. The following article provides details of the the nine articles that embodied the Peace Treaty of Paris 1783. 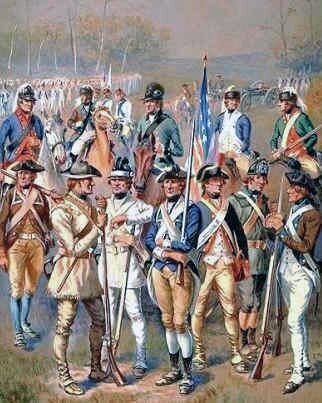 Fact 1 Background: The British laid down their arms at the Battle of Yorktown on October 19, 1781, and surrendered to the United States. 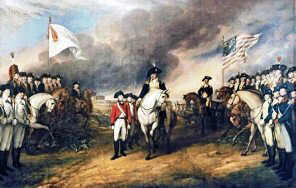 The British army was decimated and the American Revolutionary war was virtually over. Minor battles between the British and the colonists continued for another 2 years until February 1783 when King George III issued the Proclamation of Cessation of Hostilities. Fact 6 Terms: Spain had joined the United States and France in the war. Spanish soldiers had conquered Florida, and Spain kept Florida at the peace. 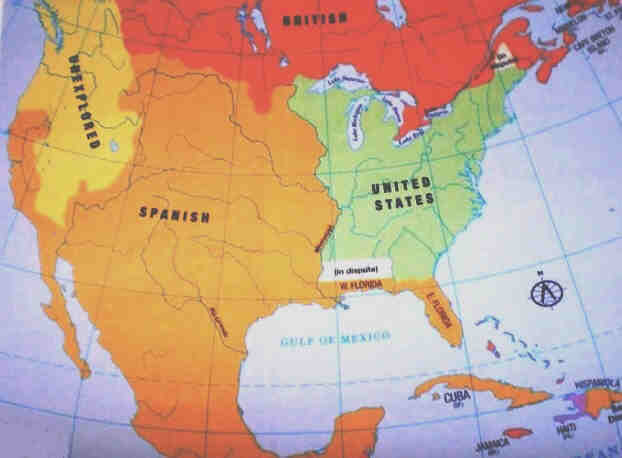 Fact 7 Terms: Spanish Florida and Louisiana surrounded the United States on the south and the west. British territory bordered the United States in the north and the northeast. We hope that this article providing an overview of the American Peace Treaty of Paris will assist in your studies or homework relating to the end of the French and Indian Wars and the defeat of France during its struggle for power in North America. A great educational resource for kids on the subject of Peace Treaty of Paris 1783. 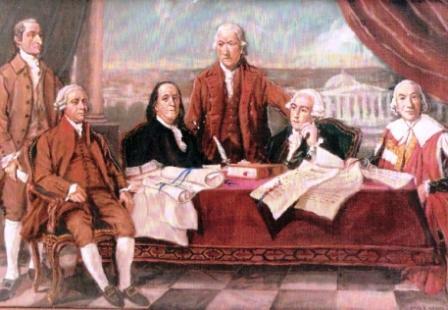 The following articles provide facts and information about the Peace Treaty of Paris 1783.